The Spring Battle is a World Snowboarding Elite Level and an AFP Gold Event! December 15 to 16, the Jib King was the first event of the season in the Absolut Park. Almost 50 amateurs and 30 pros showed their tricks in Jib Park and on the brand new Stairset. Get your ski pass online, it's super easy! Book your freestyle lessons in the Absolut School! In the last 20 years, the Absolut Park has not only become the biggest snow park in Austria, but also one of the most famous European snow parks. The entire park area extends over 1.5 km, is divided into seven sections and is equipped with a wide and varied range of around 100 obstacles. Our professional shape crew ensures perfect conditions on a daily basis. No matter which level, beginner or pro: In the Absolut Park you will find everything your freestyle heart desires. The Absolut Park is celebrating its 20th birthday! In the Chill House there is a big photo exhibition from Markus Rohrbacher's best pics. Between the Spring Battle and the season end (22.04.2019) we will host a six-week anniversary program in the entire park area with photo and video shootings, events such as the 10th anniversary of The Stash, a Cash For Trick session and a Banked Slalom, special and even more obstacles and extended runs in The Stash and in the Absolut Park. During the summer the Absolut Park Shape crew welded and hammered everything they could - to surprise you this winter with a brand new Stair Set. It consists of a Stepdown Rail, a Down Rail, a Double Kinked Rail and a Ledge with a Creeper Rail and will be located at the end of the Jib Park as usual. Besides, the guys built six new rails for you: A nine-metre long Doublekinked Rail, two Straight Rails, an eight-meter-long Elbow Rail, a six-meter-long Rainbow Rail and a seven-meter Wave Rail. Have fun! The natural park is already ten years old, but still as cool as on the first day. This season we have extended the Lil' Stash, the easy to ride part below the Powder Shuttle top station. We have added a second start to the Cross Run, our boarder- and ski-cross track. Now beginners and advanced can start into the wild race track according to their level. Five kickers in a row offer you maximum airtime at an international top level. This is where the Spring Battle, Austria’s most famous on-mountain snowboard and freeski contest, takes place. The Rail/Halfpipe Line is equipped with many different rails and ends in a funny, 100 meter long halfpipe with four meter high walls. It is ideal if you want to learn how to ride a pipe and try your first tricks. In the lower part of the Absolut Park, directly in front of Chill House, you will find the ultimate playground for all jibbers: The Jib Park offers you many rails and boxes, which are easy and fun to ride. All shredders, regardless of their level, will have fun here. Both beginners and advanced can ride the Cross Run, a top-maintained ski and boardercross course, without any problems — two separate starts for different levels to ensure this. It's best to race through together with your buddies! The Stash Park does not offer you perfectly groomed slopes, but instead, you can get creative. There are obstacles made of wood and snow integrated into the natural terrain, and you can usually ride them in several ways. The area offers a lot of additional possibilities for natural jibs and powder runs. Originally, Jake Burton and snowboard legend Craig Kelly had the idea for The Stash, and there are only six of these parks worldwide. The American artist Bob King made the hand-carved figures and obstacles. Kids and beginners will find the Lil' Stash with its wide, simple wooden boxes and rails an ideal terrain to start freestyling. The Chill House below the Jib Park is the freestyle scene’s meeting point. The light-flooded, two-storey building is equipped with a boulder wall and several chill-out areas where you can watch freeski and snowboard videos. Since last winter season, the Chill House is also pleasing to the eye: Inspiring paintings, photos and drawings from artists in the boardsport and freeski scene are shown on a regular basis. The highlight, however, is the skate mini ramp — the first of its kind on a mountain worldwide. Every friday the Rad Day takes place at the Absolut Park. You can work on new freestyle tricks together with a coach. 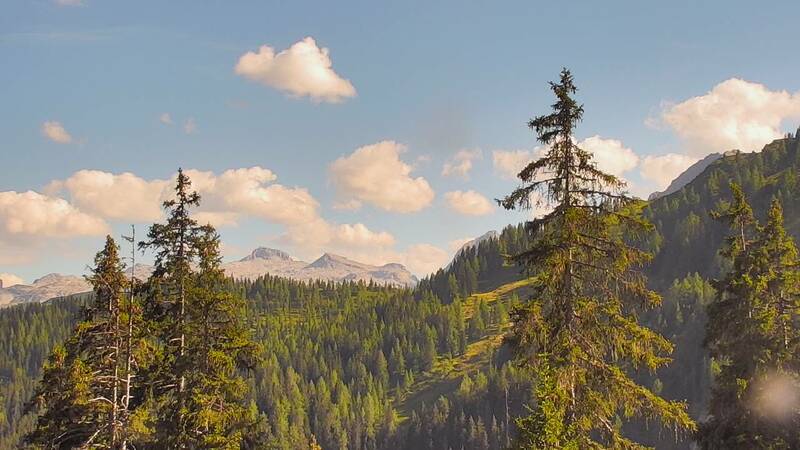 During your lunch break, you will enjoy a gourmet burger lunch in the Frauenalm before recording your progress with a follow cam and drone in the afternoon. Of course, you get the videos — to post, share and take home with you.